Chaldean Numerology has a lot of fans, as it can provide spiritual knowledge and lead you through very mystical and deep study. It is also an amazing option for those who like mathematics, as Chaldean numerology can show absolutely new approach in using numbers. The second name for it is Chaldean Gematria. 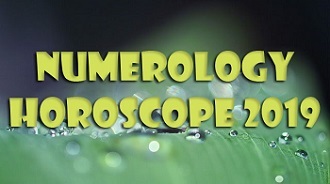 It is a numerological technique that attaches the values of numbers to corresponding letters. This way we can decipher the signs the numbers give us. Chaldean Gematria (another way to call it) is a numerological system that attributes values of numbers to letters, so people can define numerological signs. Nebuchadnezzar (Iraq today) was a place where the largest initial community of the Chaldean System existed. This society had very strong prophetic abilities, however, it is also famous for its well developed religious structure. Chaldean culture left a legacy of the most strange and mysterious books, sacred readings and mythology. Later, in the 19th century these reading gained popularity in the occult circles. Nowadays, the occult traces of Chaldean culture exist no more, but its numerological system withstood the test of time and is very popular among numerologists. It is connected to astral aspects and spiritual connections. Each letter has a particular number value from 1 to 8. In Chaldean Numerology the name of the person is transformed into corresponding numbers. Each number obtains a certain vibration. In the end, the numerologists follow the vibrations of the name. Then comes the hardest part: to interpret the vibrations meaning. For example, let’s take the commonly known name – Beth. At first, we look for a number value in this name. We have a special chart for this. 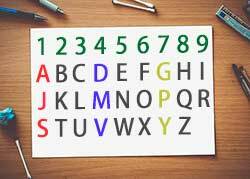 Then you compare the letters to the numbers: B is 2, E is 5, T is 4 and H is 5. Add all of the numbers and you get 16. This number symbolizes the influence that leads Beth. A common practice for Numerology is to reduce two- or three-digit numbers to single-digit. Here we reduce 16 to 1+6 = 7. This number represents how others perceive Beth, her footprint and image according to others. Each number in Numerology means something and has a unique characteristic. It is easier to work with single-digit ones, as the meaning is absolute and less vagueness is present, so the person gets more understanding on what the numbers want to address. 0. The real talents of the person are not available yet. A lot of things around are fake and a great need to filter your words and connections is present. 1. Independent, confident and leading. The number of strength. 2. Adapting and agility, inner balance and unity. 3. Changing and developing situations in life, twist in life is coming. 4. 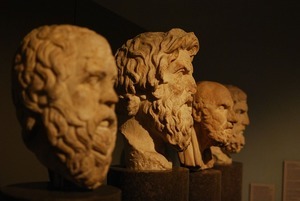 Focused and determined state of mind, prosperity at work, increased sense of discipline. 5. Tendency to travelling and boosted creativity, love to independence. 6. Amazing tutor or consultant. The life filled with important activities. 7. Smart and reliable person, curious and with high moral values. 8. Determined, goal-oriented, seeking for financial stability and robust person. Why is the Chaldean Numerology unique? 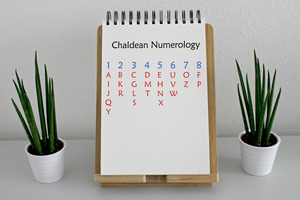 The uniqueness of Chaldean Numerology is that it has no letters assigned to number 9.The Chaldean culture believed number 9 to be sacred and very mystic. They thought that it is a number that always disappears. It is forbidden to use this number in calculations of Chaldean Numerology. The Pythagorean Numerology borrowed some principles of Chaldean Numerology, but these types of Numerology are absolutely different. They read the vibrations in different ways; they have their own calculating systems. 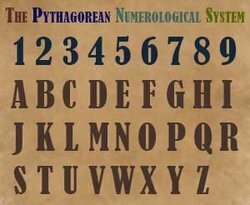 But nowadays Pythagorean numerology is very popular as it is easy and comprehensible and widely used by non-professionals. One more thing to know about Chaldean Numerology is that it never neglects double-digits. Other systems tend to simplify the numbers so it is easier to calculate them, but Chaldeans stop and make an accent on it, and continue calculations. They believe that every number on your way is not random.